I'm a barnaholic. Every age, style, purpose, architecture. 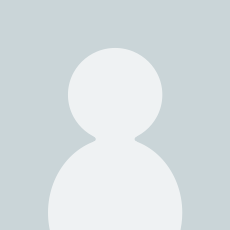 I find them great statements of the ingenuity and practical nature of man throughout the ages to house and protect their livestock and livelihood. Eric Sloane's work is a masterpiece because he really gets into the architecture and art of barns. A look at the tools, techniques, structures and uses can all be had in many other books - but tied together here with outstanding illustrations which can show so much more than photos could capture, makes An Age of Barns a must-have classic if you're thinking about building your own barn or just can't get enough of these icons of agriculture. The paperback reprint would have been OK (I've seen it and it's fine) but this original hardcover really captures all the original nuances of Sloane's work and is a lasting testament to the lasting structures he filled it with. If you're from a rural area or reared on the farm, you'll love this book. You'll love it even if your only connection is a love of architecture and old buildings. I've loaned this to many friends who found it as interesting as I did. Both the architectural and construction aspects of the book are great but add in some of the history that is shared and this is a wonderful coffee table volume. Add it to your collection. 4.0 out of 5 starsPackage was damaged, but the book was okay. As with the other book. The package was ripped open, and the ends of the book were protruding out. This book was undamaged. Our regular mail carrier would not have let this happen. Other than this both books are what I wanted. Anything by Eric Sloane is the very best and these two books are include. When Eric Sloane wrote this book in the 1950's, the United States had already made the transition from being an agricultural nation into an industrial society. Fortunately, there were still plenty of examples of America's rural past scattered along the backroads and other forgotten areas of the nation's countryside. Sloane spent many years, seeking out these historic relics so that he could study and sketch them. The result is whole series of books that chronicle America's historic material culture. This book focuses on barns. What makes an Eric Sloane book so unforgetable are the black and white sketches. If you are a visual learner who believes a good drawing is worth a thousand words, Eric Sloane is the author for you. By no means is this an academic study of the different barn styles that existed in the United States. Instead this book is a collection of beautiful drawings that can help the reader understand how barns were built and what they were used for. This is a magical book. 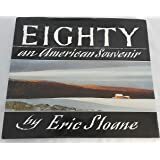 If you like it, you will have many hours of pleasure seeking out and reading Eric Sloane's other books. Highly recommended. A great value. 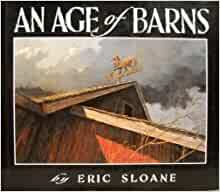 Sloane's books capture the romanticism of the past better than any picture books, and that is certainly true for his An Age of Barns. The beautiful line drawings range from evocative perspectives to working sections, giving you a good idea of how these barns worked. There are Shaker round barns, traditional gambrel barns, Amish barn raisings and a wide variety of outbuildings associated with the early American farmstead. He lovingly focuses on hinge details, stairs and ventilation openings. Sloane's eye never missed a detail, and for anyone who loves old barns this is the book to get. a beautiful and informative book. i own a barn and many barn books. We know only a few of the names of early Americans who settled this fertile country as farmers, woodsmen, carpenters, blacksmiths, and other important skills, all of whom were respectors of the land. 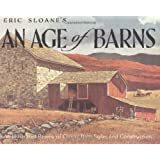 Eric Sloan illustrates with pen and ink, a masterpiece of information on the types of barns our ancestors built and used.. With adze, saw, froe and maul, early on they built barns with logs cunninly constructed with notched corners. Later more complex, multi-bay timbered marvels were erected on a weekend by an army of neighbors at a Barn Raising Bee. How it was done is a visual feast. The beer, to quench their thirsts, was cooled in a small barn - a Spring House. Good reading, easy reading and good illustrations.